1. The canvas is of high quality, thickened fabric, multiple reinforcement handle, with no worry of fastness, full-process double-thread sewing, thickened double-pull head, and more free opening and closing. 2. Large volume storage, convenient folding and storage. 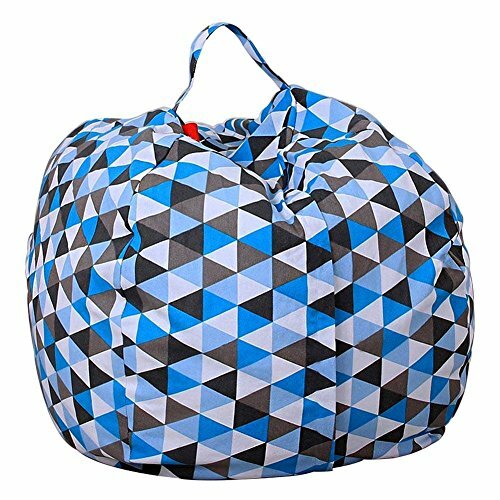 ❤Multi-function storage case - Stuffed animal bean bag for kids, household storage bags for women. Keep the room neat and tidy no messy, and the bag easy to move, large-large volume storage, convenient folding and storage. If you have any questions about this product by Fullbeing, contact us by completing and submitting the form below. If you are looking for a specif part number, please include it with your message.